Looking for the best tailors in Chiang Mai? You need to go no further! We also specialize in making clothes for wedding parties - tailor-made for best fit for both ladies & gentlemen! Genesis International Tailors for Ladies & Gents, Chiang Mai offer today's hottest styles at reasonable prices. We are among the very best known in our profession. We use the best fabrics for both men's and women's garments. Our wool and wool blends are specially chosen to make fine suits. Our Thai silk and cotton fabrics meet the highest standards. Our craftsmanship is second to none. We aim at getting long-term customers. Our ever-growing list of returning customers is a testimony to our dedication to excellence. You can visit us at our showroom or order via this website. We can ship worldwide. We can ship your order out within a week. Get custom-made clothing YOU will like wearing, without paying dearly!! Special offer: FREE Shipping for orders $350 and above. Cassaro CR60 Summer suit is ideal for summer business and casual suits. The CR fabric is medi..
Light weight cotton suitings. Casual wear. Also, becoming popular for summer weddings. Trouse..
Fine cotton suiting. Excellent summer casual wear. 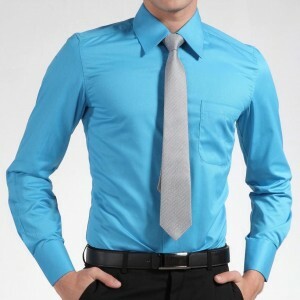 Increasinlgly popular among natural fabric lover..
Cotton Twill Shirting is the most preferred shirting for all year round use. It is a cotton ble..